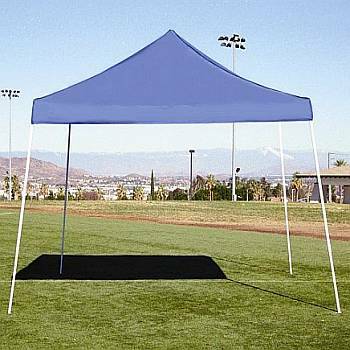 Instant Pop up Shade Canopy The 12x12 Sport instant canopy has a durable, powder-coated steel superstructure frame. 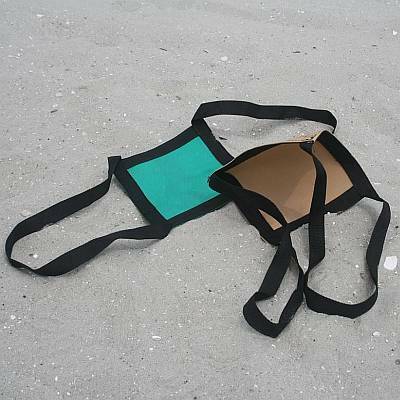 The canopy top is 210 denier polyester with PVC coating. Instant shade canopies are portable, easy to put up and are perfect for tailgating, picnics, the beach, the backyard or anywhere you want some shade. Comes with heavy-duty carry bag with wheels and storage pouch and a 4 piece stake kit. When closed the Sport Canopy measures 10"x10"x64" and will fit in the trunk of most cars. The 12x12 Sport Canopy is available in Blue only. This item does not come as pictured. It has been updated with a dark metal frame. Side Height = Adjusts from 5'11" to 6'11"
Center Clearance= Adjusts from 6'11" to 7'11"
Peak Height = Adjusts from 9'2" to 10'2"